Instead of making a plain gingerbread house, dedicate your cookie to your favorite establishment. Whether that’s Big Ben, the Taj Mahal, or just Starbucks. 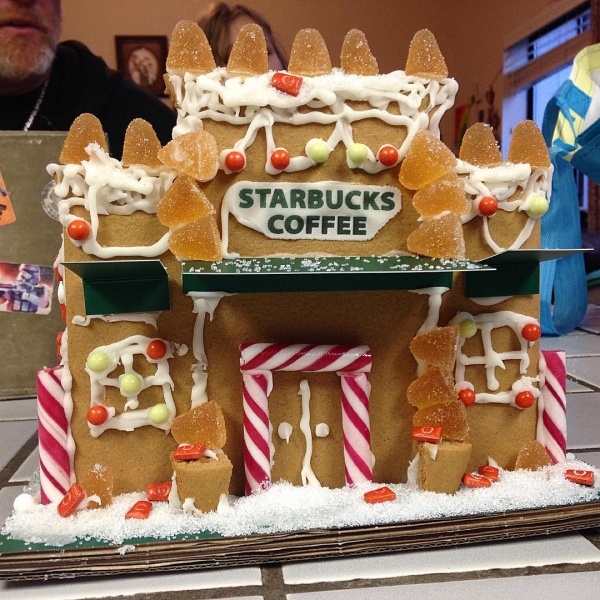 Starbucks gingerbread house is the perfect ideas for coffee junkies.